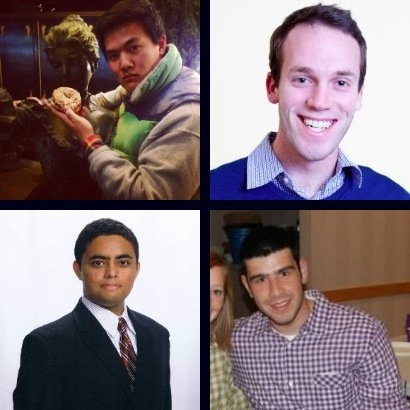 Benison Choi (top left), David Harris (top right), Ani Ajith (bottom left) and Aaron Zelikovich (bottom right) are the four candidates running to serve as president of Associated Student Government for the 2013-14 school year. With nonverbal campaigning underway, the four tickets have begun pushing on social media and gathering endorsements from student leaders and other campus figures. 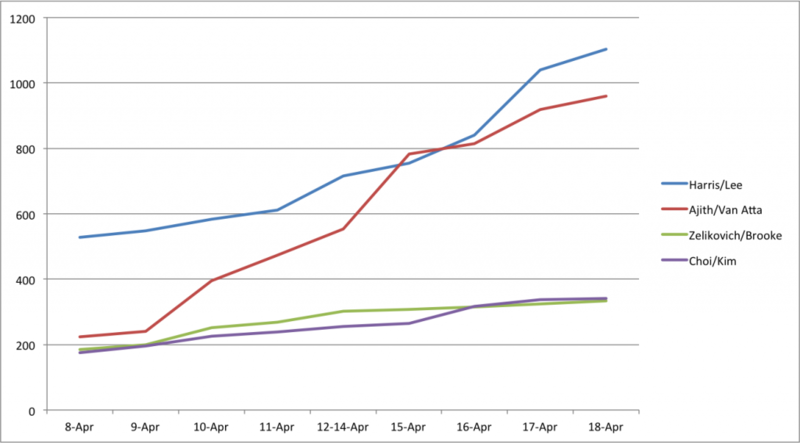 We’ll keep this page updated through April 19’s elections with where the race stands, including an endorsement tracker and a social media comparison.